The Grove Encyclopedia of Medieval Art and Architecture. Oxford University Press, USA, 2012, pp. 575-80. Gray-Durant, Delia. 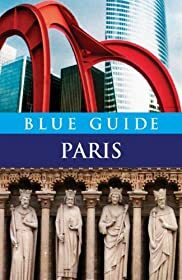 Blue Guide Paris. Blue Guide, 2006, pp. 24-30. Hugo, Victor. Notre-Dame de Paris . Oxford University Press, USA, 1999. Erlande-Brandenburg, Alain. Notre-Dame de Paris. Abradale Press / Harry N. Abrams, Inc., Publishers, 1999. Camille, Michael. The Gargoyles of Notre-Dame: Medievalism and the Monsters of Modernity. University Of Chicago Press, 2009. Viollet-le-Duc, Eugene-Emmanuel. Designs and Ornaments from the Chapels of Notre Dame . Dover Publications, 2011.